The Central States NPL hosted a Player Development Program (PDP) event targeting '05 boys and '04-'05 girls at Pinnacle National Development Center, Aug. 25. KANSAS CITY, Kan. (Sept. 4, 2018) - The Central States NPL hosted a Player Development Program (PDP) event targeting '05 boys and '04-'05 girls at Pinnacle National Development Center, Aug. 25. 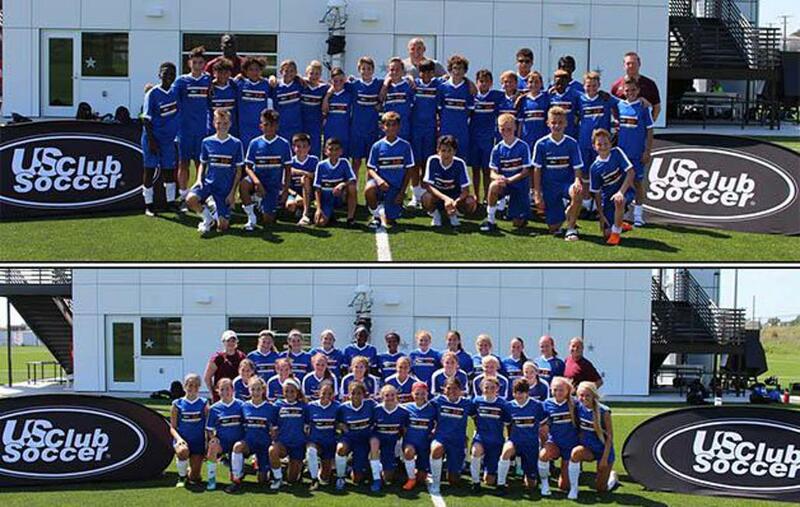 Thirty-one girls and 28 boys took part in the PDP, representing clubs in the Central States NPL. The players were led by an experienced group of staff coaches: Ian Barker (Director of Coaching Education, United Soccer Coaches), Emily Flett (KC Fusion), Daouda Kante (Kansas Rush), Chris McGill (Vision Soccer Academy), Ginger Parsons McGill (Vision Soccer Academy) and Jason Pendleton (KC Fusion). "I thoroughly enjoyed working the recent PDP in Kansas City," said Barker. "It is always a pleasure to work with players stretching themselves beyond their club environment. The boys we worked with were of a good level and did credit to themselves in the way they applied their ability and effort. The host venue of Sporting KC's Pinnacle National Training Center was a perfect site for the players, coaches and parents/fans. PDP is one of several avenues genuinely dedicated to breadth and quality in player identification." It's been a busy opening month for Central States NPL clubs, as the fall 2018 competition officially kicked off in mid-August. This marks the second season in Central States NPL history, and the inaugural season was capped by Sporting Omaha FC '00 Elite winning the oldest division at the 2018 Girls NPL Finals.